HGTV’s “Property Brothers” Jonathan and Drew Scott — known for helping couples find, buy, and transform extreme fixer-uppers into their ultimate dream homes — are welcoming World Market‘s first location in Massachusetts! 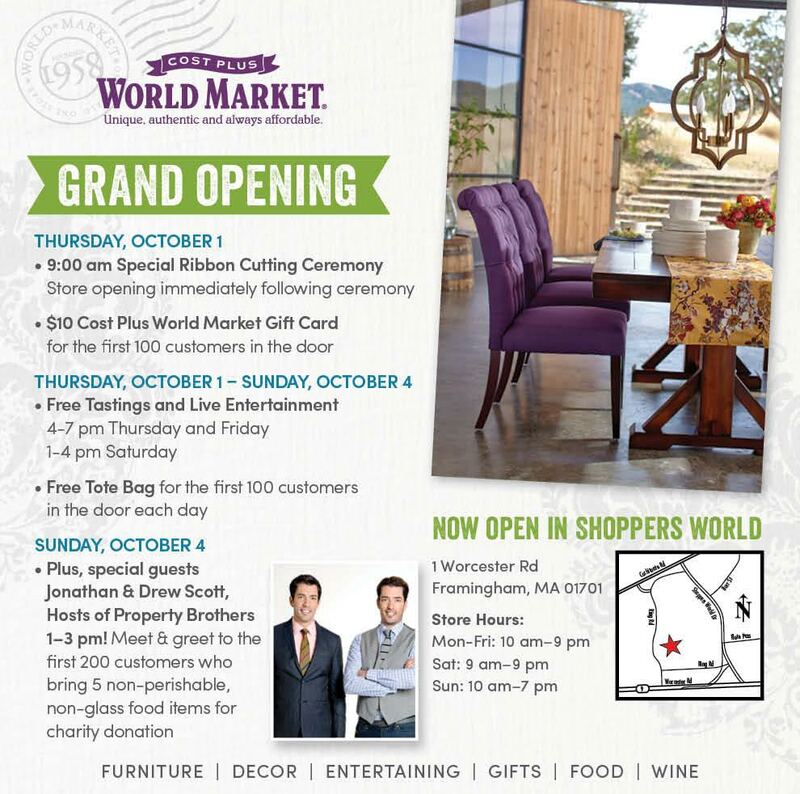 On Sunday, October 4th the design duo will connect directly with fans, sign autographs and take photos at the grand opening of the new World Market store in Framingham, MA. First 200 customers who bring 5 non-perishable, non-glass food items for charity will meet and get an autograph photo of Jonathan and Drew Scott. Food will be donated to the Hope Worldwide Food Pantry (Boston chapter). Category: Events · Tags: Property Brothers in Framingham!